The week leading up to Easter is the annual Papua New Guinea National Game Fishing Titles. This year the Titles are being held in beautiful Rabaul. 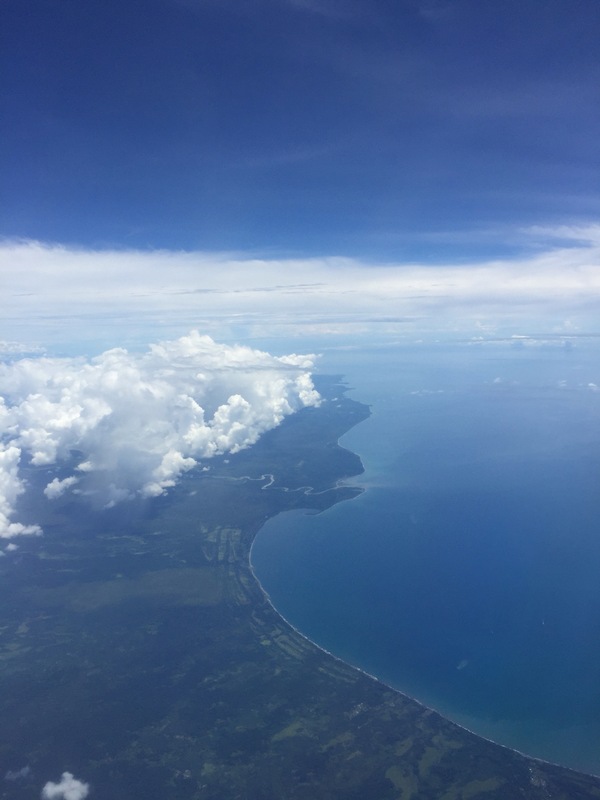 As some of you may have read earlier, our last trip to Kokopo and Rabaul ended on a bit of a low note, so flying to the Titles with Xavier is a bit of redemption for us. Yes, that’s right – Xavier and myself fishing the Titles in East New Britain! How many people have this opportunity? We are fishing with our good friends Simon and Amanda on their boat that was shipped from Port Moresby free of charge by one of the sponsors Consort. Big ups to Consort and the rest of the sponsors. Plane was delayed leaving, as the automated manifest system was down. There is nothing like sitting for 45 min in a metal box on the Sunny side, when it’s 35deg cel outside and we are all starting to sweat… Yummy! And of course to get me in the PNG mood, I’m listening to Sheppard. Sheppard is a band loosely out of Australia, but has its roots here in PNG – fantastic sound and if you haven’t heard of them you need to go buy a CD. Facebook is going great guns here in PNG, with lower internet costs, an influx of Andriod smartphones, and an increasingly savvy population – the outlet has turned away from Blogs and Forums, and Papua New Guineans are leaving their mark on Facebook. The facebook group: LOCAL MARKET – PNG has over 41000 members, and there is a good reason why. With no ebay (or Trademe) a high cost to advertise in the local paper, and a rabbit warren of shops around the capital – means a high demand for PNG to buy, sell and trade. MarketMeri is another good spot to find a bargain, but since there is little in the way of social activity (something Papua New Guinean’s feel comfortable with) it is hard finding traction in the market. Here are some good Facebook pages to help you out as a new Expat here in Port Moresby. Please note – these are normally closed groups and you may need to go through a vetting process. Facebook is full of scam’s and con-artists and we want to keep our facebook groups free of these and other predators. 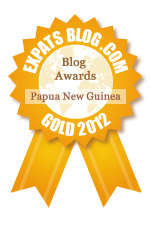 Expatriates Association of Port Moresby – with 1700 members a great place for a new expat to start. POM Parents Group – over 450 members, most being expat’s. A lot of organising of little kids functions etc. If you have kids – this is the place to join. Expat Buy & Sell In Port Moresby – over 500 members buying and selling. From cars to wakeboards. There are plenty of other Facebook pages around, such as Humans of Papua New Guinea; Only in PNG etc – some are very political, others aren’t. Some are bloody dodgy! Some are bloody funny. As with any website – be private 🙂 stay away from politics, don’t abuse the country, use some commonsense. As you may know (from looking at the About Me section) or you may not, we live here in Port Moresby with our 3 children, which is technically 2 children since one of them is now in Boarding School back in Auckland. There are plenty of things that the kids can do here in Moresby, including the after school activities that the school puts on (it varies a lot from term to term) as well as music lessons after school (our 2 big kids have both had 4 years of piano and a year of guitar) All very reasonably priced, and with good positive enforcement is a great way for the kids to occupy themselves. The kids also have lots of playdates at other compounds, sleep overs are very common (both for our sanity as well as theirs). Then Xavier on Sunday was out at the Golf Club http://www.royalpomgolf.com/ where they are teaching juniors how to play. There is also Pee Wee sailing at the Yacht Club http://www.RPYC.com.pg, which also hosts POMSAC – the snorkle and diving group. If your kids are into water sports, the Port Moresby water-ski club has reformed https://www.facebook.com/POMWaterSports/?ref=ts&fref=ts and they have some gear for kids. There is also the bushwalkers club, the Port Moresby Game Fishing club, as well as the Boroko Fishing Club (river fishing mainly). The kids will also enjoy the Adventure Park at 14 mile where they have a couple of Hydro-Slides, or the Nature Park towards Gerehu where they can see Cassowary, Crocodiles and the Bird of Paradise. There is also 2 Cinema complexes, some theatres in full 3D showing the latest (eg: before any other country) movies. You could also take them down to Black Rock Kite Surfing (or just flying a kite), up to Sogeri to either Crystal Rapids for a sim (and some tubing) or over to Koitaki Country Club to ride the horses. They also get to stay at home, and chill out in the pool with their mates, play nerf tag, and ride skateboards and bikes around the compounds. There is also organised sport like Soccer and Netball, and if they are good swimmers – there are opportunities to represent the school. There are Motorcycle clubs (offroad) as well as Hash House HArriers and Road Runners (the running clubs – kids welcome).